"Excellence in dentistry begins with a careful diagnosis and treatment plan to establish goals we will achieve together. Communication and long-term relationships are important to us. Let us know what's on your mind, ask questions. We'll help you to realize an investment in yourself pays dividends for a lifetime. Dr. Winter and Dr. Neal are caring, skilled professionals, dedicated to simplifying what is often a very complicated and confusing area of health care. They want their patients to be informed and knowledgeable about their dental health care, from treatment plans and services, to insurance coverage." 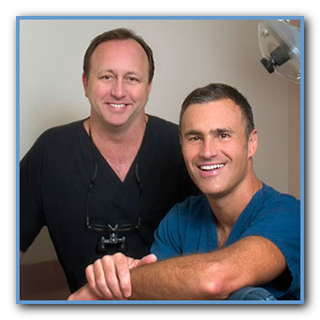 Dr. Michael C. Winter is a general dentist offering comprehensive dental care for adults with a focus on complex restorative treatment including cosmetic makeovers and dental implants. Dr. Winter received his Doctor of Dental Surgery degree from the University of Tennessee in 1984. He is a Charter Member of the Florida Academy of Cosmetic Dentistry and has earned his Fellowship in the Academy of General Dentistry. Dr. Winter enjoys all water sports, golf and Sprint triathlons. He has practiced in Ponte Vedra Beach since 1984. Dr. Winter and his wife, Amy, have three daughters, Ashley, Lindsey and Stefanie. Dr. Kevin L. Neal is a general dentist offering comprehensive dental care for adults, focusing on cosmetic and restorative treatment. Dr. Neal received his Doctor of Dental Surgery degree from Indiana University School of Dentistry in 1988. He has practiced in Ponte Vedra Beach since 1990. Dr. Neal, an avid mountaineer and Ironman triathlete, lives in Ponte Vedra Beach with his wife, Janet, and two daughters, Jennifer and Haley. Dr. Andy Maples is a general dentist offering comprehensive and family dentistry to all of his patients in the most relaxed and comfortable environment possible. Dr. Andy is trained in multiple sub-specialtiy areas such as endodontics (root canals), oral surgery (extractions and implants), and minor orthodontics. 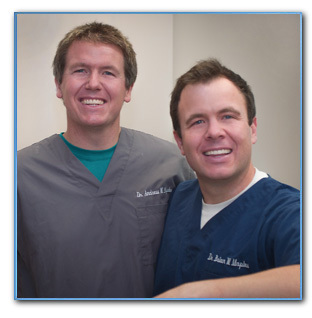 Dr. Andy received his Doctor of Dental Medicine degree in 2008 from the University of Florida College of Dentistry. He then completed a General Practice Residency program at the Meriter Hospital in Madison, WI. His professional goal is to provide a wide range of high quality dental care to each and every patient while developing long-lasting relationships with his patients and colleagues at the same time. Dr. Andy is a sports enthusiast and is an avid fan of both the Jaguars and Boston College athletics. He stays busy with general fitness, organized sports leagues, and has run three marathons since 2011. He is a music lover and he loves to travel – especially to the family cabin in the North Carolina mountains. Dr. Andy’s wife, Lindsay, is a local pediatric dentist, and their true passion is their family. They have one daughter (Maggie), one son (Will), and a dog (Charley). Dr. Brian Maples grew up in Ponte Vedra Beach with his parents and brother, Andy. He attended the Episcopal School of Jacksonville before moving north where he attended Boston College and Tufts University School of Dental Medicine. Dr. Brian received his Doctor of Dental Medicine degree in 2011. He then completed a General Practice Residency at Fletcher Allen Health Care/University of Vermont in Burlington, VT. Dr. Brian is passionate about his dentistry and strives to develop positive relationships with all of his patients. He enjoys staying current with continuing education courses, always looking for ways to better his clinical practice and his patients' experiences. Dr. Brian’s wife, Alex, is a teacher and campus minister at Bishop Kenny High School. Their son, Romy, was born in 2014 and daughter, Maria, was born in 2017. They love spending time as a family, playing with their dog, and adventures of all kinds.